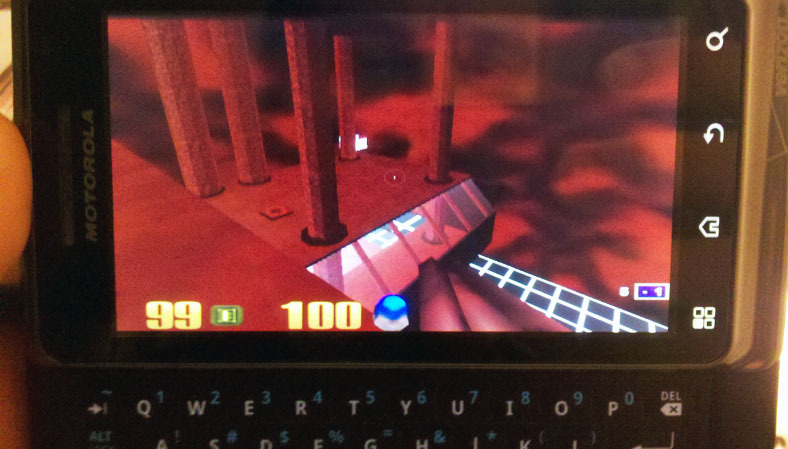 Using kwaak3 on my Droid 2 (which is essentially ioquake3 under the hood) I can run the same custom maps and connect to other ioquake3 servers!!!! Yes, even in servers where other users might be playing from their PCs! There is no word yet on how reliable kwaak is in running 3rd party ioquake3 mods – such as the one I will eventually be making – but I assume basic ioquake modifications *should* work without issue. Now, I know that playing FPS games on mobile devices is really not there yet, and frankly kwaak is far from polished… nevertheless, I see some awesome potential here. Once one realizes that an ioquake3 mod *should* probably be designed in such a way so as to be enjoyable on both mobile and PC platforms – the sky is the limit. Wait… ANY? Wouldn't any new machine require Quake3 or RTCW to be installed (i.e. purchased) even before the custom mod could be installed and played? Technically, no. The terms of the Q3 source code release basically stipulate that you can use their engine as a base for any new game, and distribute it for FREE online (i.e. no separate q3 purchase required by any end users of your game), so long as all original quake3 media is stripped out of the game. It must be a total conversion. If you later wish to sell it, id software will of course then require a licensing fee. Create two Total Conversion mods based on ioquake3 and iortcw, respectively. 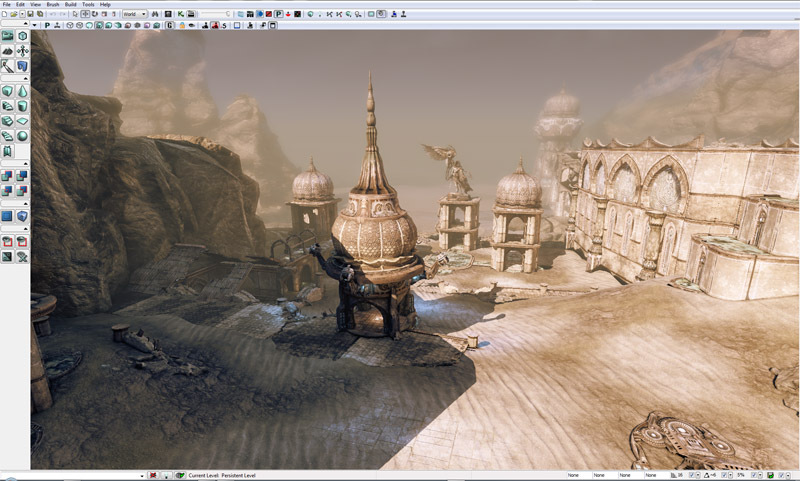 Mods will feature all original maps, models, weapons, sounds, music and styles of game-play. Mods will be Portable/Playable from most any type of computer or mobile/smart phone. Mods will be easy to Install and FREE TO PLAY on any supported platform. Yay! After many weeks of painfull HTML converting, my Softimage Mod Tool Curriculum is finally available and published to the format of this site. Check it out here. The next challenge will be to update the content, as it was originally written a number of years ago, and definitely could use some refining. Also, I would be remiss if I didn't mention that parts of the curriculum are taken directly from the publicly available Noesis tutorials. These guys have the real content, be sure to check them out too. I hammered out 2 more pages of the MOD Tool Curriculum (Modules 12-13). The "Creating a Dynamite Prop" portion of the curriculum is nearly finished, with only touching up the final prop details remaining. See the Entire Curriculum here.